Have you got Blonde/Bleached Hair? 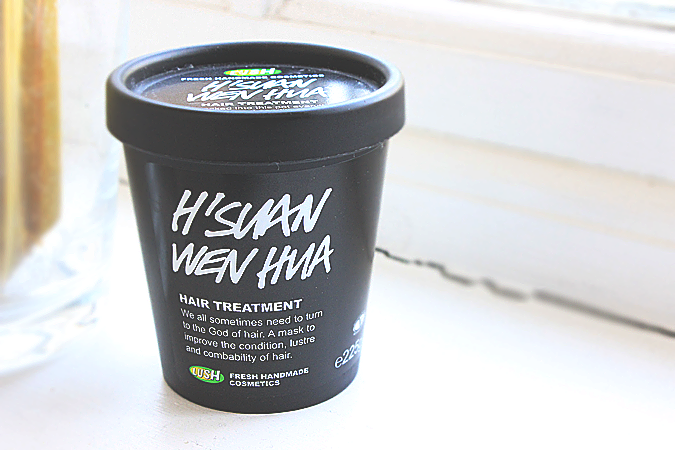 This is little Pot sure as hell stinks of rotten eggs (really it does) But what it does to my hair is by far worth the unpleasant odour. 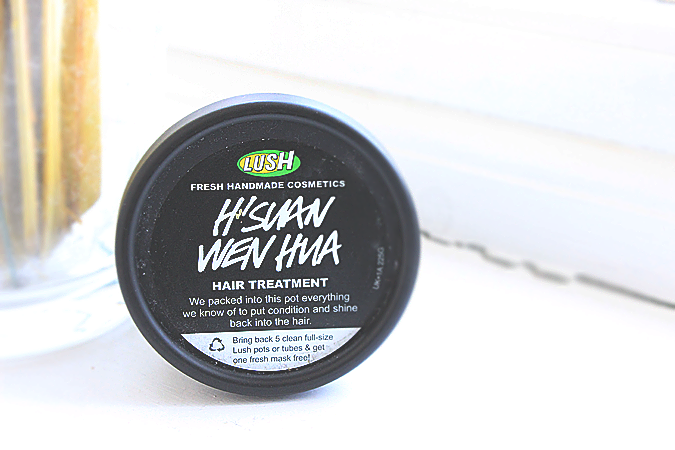 LUSH H'Suan Wen Hua Hair Treatment £9.75 is one of many hair treatments Lush has to offer. This particular hair treatment is Rich in Protein - this includes free-range eggs ( explains the unpleasant odour ), bananas, avocados, bay leaves infusion, cinnamon leaf oil and more to nourish the hair. Many would ask how to use this little pot and with this particular treatment you apply to the hair and let it soak prior to shampooing and conditioning your hair and leave-in for 20 minutes. The pot recommends that you use this moisturiser/treatment at least once a week for six weeks. I on the other side, use it every month after I dye my hair/roots to bounce it back and my hair becomes shiny and healthy and for a blonde that is what we all seek. Would I Repurchase again? YES! In fact, my pot is finished and I am going to pick another one up once I pass a Lush Store as there isn't one in town. If you can get past the 'iffy smell' you will love this little product.